You are almost done with the setup of the Wholesale Hero app installation. Just a few more steps and you're good to go! Step1. 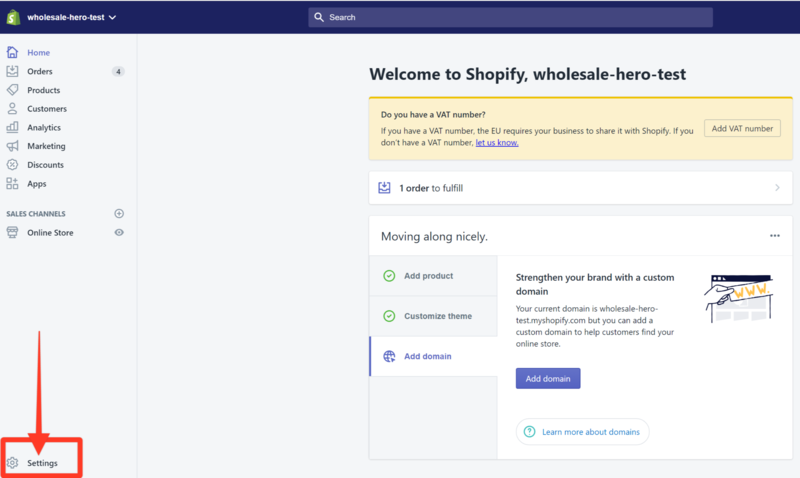 On your Shopify admin page, go to Settings. Step3. Scroll down to the Staff accounts section under Accounts and permissions and click Add staff account. Step4. Enter Booster and Apps in the First name and Last name fields respectively. Step5. Enter help@boosterapps.net in the Email field. Step6. 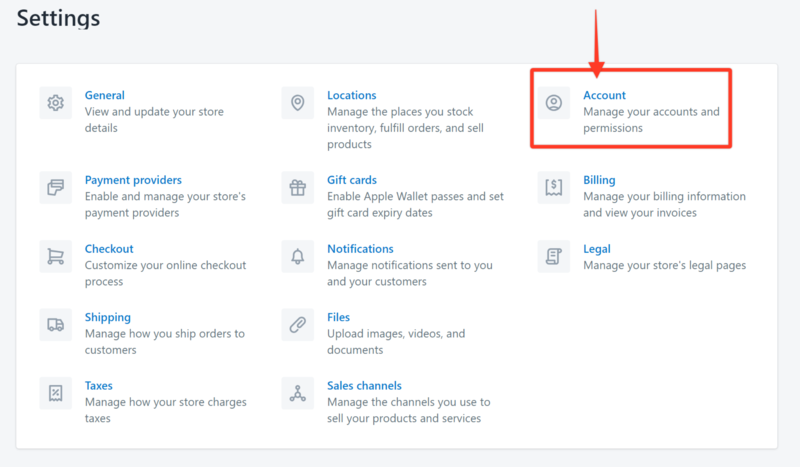 Make sure to uncheck the box that says This staff account will have full permissions. Step7. Grant us access to the following by checking the boxes: Orders, Draft Orders, Products, Customers, Apps and Themes. Step 9. Once the theme edit is complete, an email will be sent to the main email address associated with your Shopify email. This email will be sent from help@boosterapps.net to let you know that the theme edit is complete. Please check your spam folder and if possible - whitelist our email address from your email account. Theme updates can take up to 36 hours.